HELLO and welcome back to The ThINKin' Spot! 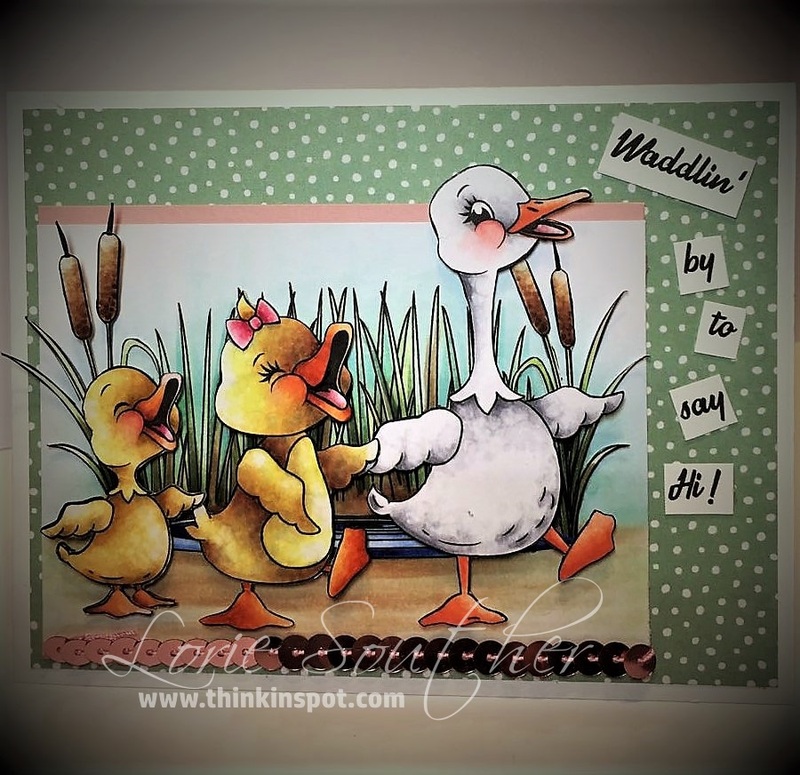 Well it's been more than just a little while since this little blog has seen a new post. There's no particular reason for that, other than I guess I just needed a break. My paper crafting supplies have lived a very quiet and secluded life in my basement and if I'm completely honest, I'll have to admit that I have missed paper crafting. I never give up crafting all together, though. I've been working on sewing projects, crocheting, and of course, I've spent some time painting. I don't think there will ever be a time I'm not doing some sort of crafty thing. I just enjoy it way too much to ever give it up completely. Now what you might ask did it take to get me in to my basement digging for my Copic markers and all the supplies I needed to make just 1 little ol' card? That answer would have to be seeing some of my favorite stamps being manufactured again. 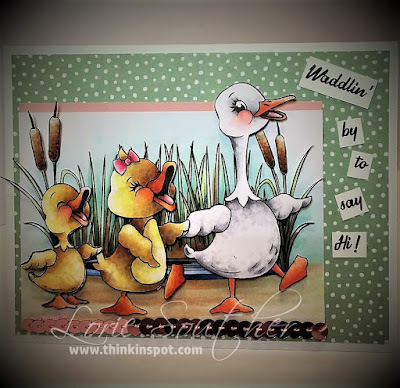 Yes, those would be Peachy Keen Stamps of course!! 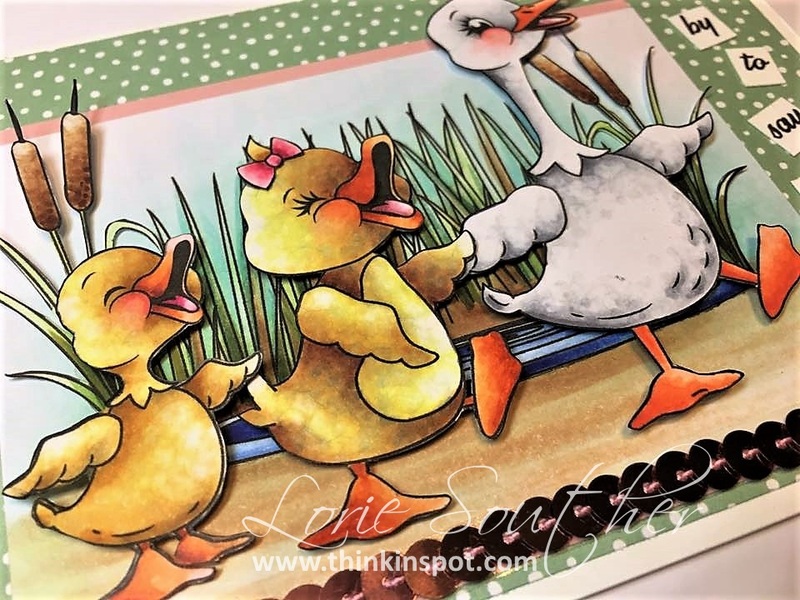 Kathy in all her creative brilliance has created this adorable On The Pond release and it is now available in very limited quantities in STAMP form. Yes, you read that right! These adorable images can be purchased for a limited time, and in limited quantities at a special price, so you'd better get 'em while you can. 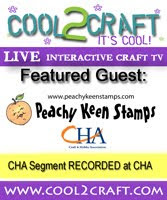 Follow the link to the Peachy Keen Stamps Store and get yours on their way to you today!! 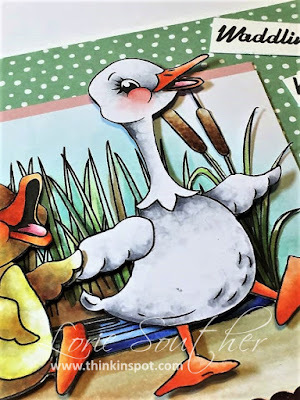 Here is what I chose to make with just a few of these adorable images. Now I did receive these images in digital form, but I far prefer actual stamps. That's why I was SO excited when Kathy announced that she and Dave were going to be making these sweet images into actual...physical...STAMPS! Woohoo!! There's just nothing like holding that stamp in your hand and creating something wonderful. Sorry, but digis just don't do it for me. Never have and never will! I colored these cuties with my neglected Copic markers. Would you believe that after almost 3 years, I picked them up and with the exception of needing a few refills here and there, they worked like I'd never left 'em. Now that's a product you have to admit stands the true test of time. I LOVE Copic markers, and this is just one more reason why. I could give you a list of the colors I used, but honestly, it would take another blog post. I use a LOT of colors before an image is completed. I start with my favorite combo of yellows and build from there. 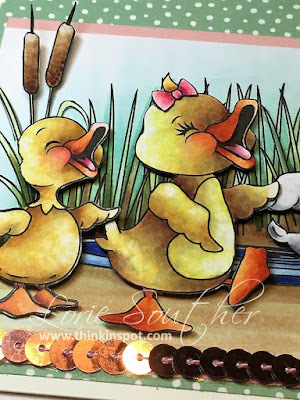 The yellow ducklings included an assortment of yellow, gray, and brown shades. I can't thank you enough for stopping by today, and hopefully, I'll have another cute little somethin'-somethin' to share with you again really soon!